Everyone has a story to tell. Like it or not we are not alone in this world. We can make the world a better place when we give of ourselves. Everyone can sing. Even if someone has told you that you can’t sing, you can sing. Singing is something that you create and literally share with others. You create the sound. It starts in your heart and resonates throughout your body and comes out your mouth. The sound is sent to the listener, taken into their body through their ears and resonates throughout their body and ends in their heart. We can affect everyone who hears us. We all have a story to tell. That story is of Encouragement, Hope, and You Can Beat This. This entry was posted in posts and tagged Ernie Doose, everybody can sing, sing2live, starts in your heart on January 27, 2017 by jaybeacham. Last year in July, I started on the karaoke available here on My Space. I did the ten free songs. One I re-did. I’ve gotten some nice compliments and some more critical too. But as I wrote on July 11, 08, this is for fun not to try to impress anyone. I’ll probably pay for a year when I can afford to and try some more. And singing can be fun. The computer I now have actually plays the recordings so I can listen to other great singers and even some not so great. But like I said then if you’ve got the guts to try, that says a lot. I hate auditions. Let me explain. Once I did an audition for a college group. I passed the first one and then for the second one I changed songs. A mistake I’m sure. I didn’t really like the rules of the group. And even though the group represented the university, students were the judges. They were kind but the audience, mostly the girls would have stoned me I’m sure had rocks been available. I didn’t get in but lost no tears over it. Still I dislike auditions as generally the director of, say a play, picks who he or she wants or thinks will fit the part. I know this having been a director myself..
At another college audition, a non-singer got a singing part because the director had promised him a part. The funny thing about that was that at the performance time many of the fine singers had the flu and sounded worse than the non-singer did. But the play’s several showings went well anyway inspite of some less than perfect warbling. Fast forward to 2009, I was very impressed with Susan Boyle and Paul Potts on Britains’s Got Talent. They both proved what I’ve always said: “Many of the best singers, male and female, and actors and actresses will never get the chance to be known by the world.” Its great that they got their chance. Also on that series, a trio of young girls (Soul something or other) started but were stopped by the judges who exclaimed that they were very bad. And they did this in a less than kind fashion. The one girl admitted that they were perhaps bad but that their rude handling by the judges was not right. I agree. I think that it would take a lot of courage to go onto a TV broadcast and before an audience of 4000. This should have at least brought an acknowledgement of their bravery if nothing else. The girl had another good point, Wouldn’t it be great if the judges there or in any such thing, performed something to show that they had a right to judge? I’ve been to karaoke nights where when things are slow or not very good, the DJ will do a song or two to demonstrate how it can be done. They are always very good but of course they do have an advantage having heard the arrangement and practiced before showing up that night, where the audience members have no clue what is even available before that evening. A member of the Master Singers, a male chorus I belong to, and his wife stopped me at the Boy Scout Expo this morning to ask why I was missing practices. I’ve been busy with Lincoln Shows and my own storytelling-singing shows. Sunday we are to sing in a Church service. Not having practiced, I’ll not go. I have been invited to join the Southern Utah Heritage Choir by two of its members. That’s twice in a week. They go to Singapore in October to sing. It would be fun. But what with dues, travel costs and lost wages,etc. (I can sing in the church choir for free). , choirs, I can sing for free, Karaoke, singing, Talent shows on January 16, 2017 by jaybeacham. Who is your favorite Singer- besides yourself? Some times people praise those who are in the public eye. There are very good if not better vocalists, mostly unknown to the world, out there. Do you know any? Is there a friend or acquaintance whose singing you like? One friend of mine teaches French in public school. another one works in the computer software industry. One or two are professional singers. Others sound great but will never be know outside of their home environment. I think that is a shame. Do you like the way you sing. Where do you sound the best? Some of us sound best in our car or our bath because of the mini echo chamber that exists in those small areas. Do others like your singing? This entry was posted in posts and tagged favorite singer, French, mini echo chamber on January 16, 2017 by jaybeacham. “Anxiety — that feeling of dread, fear, worry and panic — is certainly nothing new. Hippocrates wrote about it in the fourth century BCE. As did Søren Kierkegaard in the 1860s. And Sigmund Freud addressed the disorder in 1926. However, jump to the present and we’re seeing a significant uptick — especially with youth. Pharmaceutical drugs tend to be the classic treatment for treating anxiety (as well as the biggest money maker). Cognitive therapy is a common approach as well. Those with a holistic bent often turn to meditation, yoga, massage and other relaxation techniques. Music therapy has also been used with some success. Anxiety — that feeling of dread, fear, worry and panic — is certainly nothing new. Hippocrates wrote about it in the fourth century BCE. As did Søren Kierkegaard in the 1860s. And Sigmund Freud addressed the disorder in 1926. However, jump to the present and we’re seeing a significant uptick — especially with youth. What they found is that one song — “Weightless” — resulted in a striking 65 percent reduction in participants’ overall anxiety, and a 35 percent reduction in their usual physiological resting rates. I have a grandson who has had anxiety alter his life’s course. A neighbor man across the street has been at home, disabled for most of his adult life because of this type of anxiety. 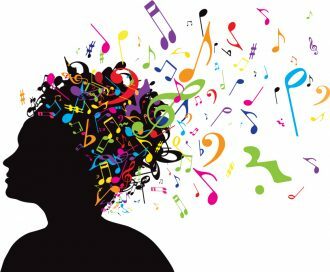 This entry was posted in posts and tagged anxiety, music, one song reduces anxiety, therapeutic effects of music on January 12, 2017 by jaybeacham.